Months and months after making the limoncello, I’m finally finding recipes to use it in. I have a few more recipes up my sleeve that I’d like to share with you and that should deplete my current limoncello supply. 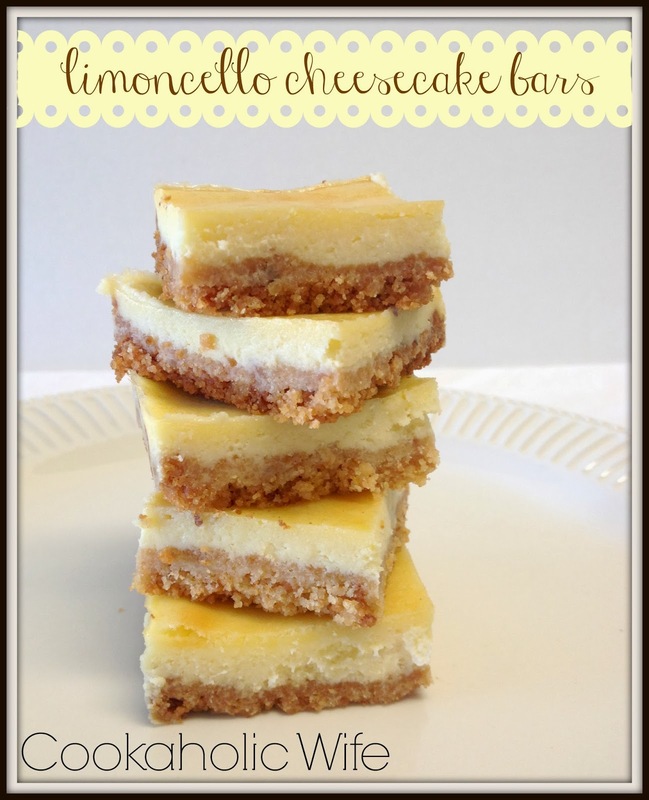 I definitely plan on making another batch since it’s so simple to do. 1. Preheat the oven to 350. Spray a square baking dish with non-stick cooking spray. 2. Add the biscotti to a food processor and grind until fine. Stir in the melted butter and 1 tablespoon of the lemon zest. Process until the crumbs are moistened, then transfer the crumbs to the prepared baking dish and press into the bottom of the dish. 3. Bake for 15 minutes or until golden, then allow crust to cool completely on a wire rack. 4. Add the ricotta to the food processor and pulse until smooth, then add in the cream cheese and sugar and pulse until fully combined. 5. Add the limoncello, vanilla and remaining lemon zest. Then add in the eggs one at a time until fully combined. Scrape down the side of the bowl as needed. 6. Pour the cheese mixture on top of the cool crust. Place the baking dish into a roasting pan or half sheet pan and pour in enough hot water to come halfway up the sides of the baking dish. 7. Bake for 1 hour or until the cheesecake is golden and the center is slightly loose. 8. Transfer to a wire rack and cool for 1 hour. 9. Refrigerate for 8 hours until thoroughly chilled, then cut into 16 squares. 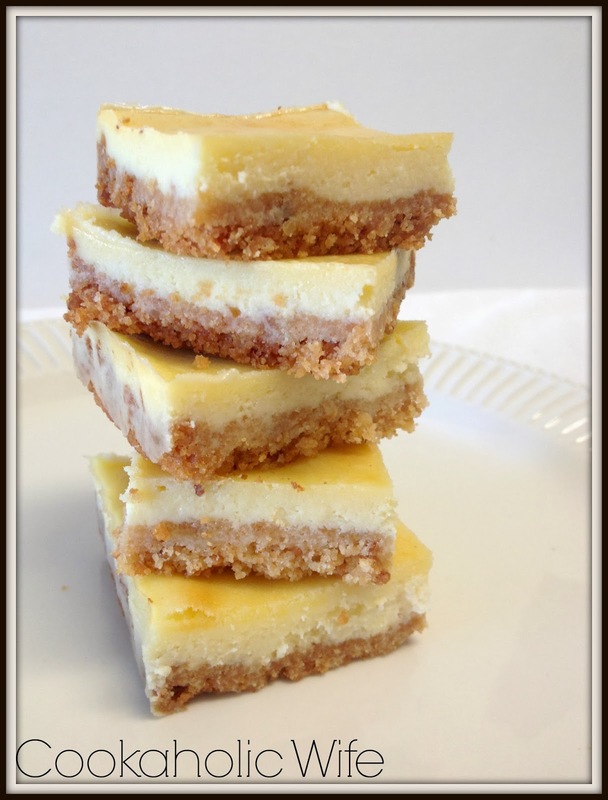 I couldn’t really taste the liquor in these cheesecake bars, they just taste like a tart lemon variety of cheesecake.